The single most important guideline to keeping adult chickens warm in winter is by providing a solid draft-free shelter. 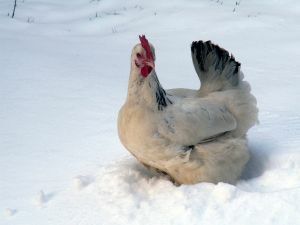 Chickens are not able to stay outside at night in freezing weather so they must have a suitable henhouse or coop that stays dry and free of drafts. A good layer of straw or shavings on the ground will make a nice insulated layer to walk on. Any open or chicken-wire windows need to be covered with plexiglass or heavy clear plastic to stop the draft, but not the light. 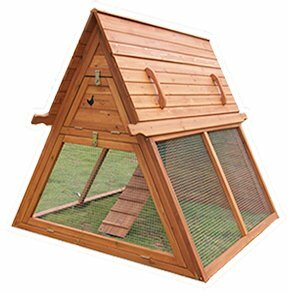 The chickens should also have a place to roost off the ground. 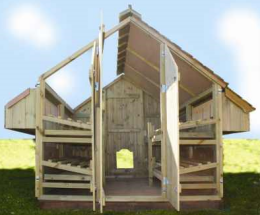 The roost should only be made of wood, not metal or plastic, so their feet can stay warm while roosting. And they should be provided with unfrozen water at all times, preferably with a heater in the water or under the waterer to keep the temperature just above freezing. A good commercial layer feed should provide them with the energy they need to maintain their body temperatures. Some people increase the content of fat in the feed during the winter. A handful or two of black-oil sunflower seeds would serve this purpose. In the coldest of weather they will huddle together, fluff out their feathers, tuck their heads under their wings, and this is sufficient, even when it is below freezing in the coop. The only one who may suffer is the rooster if he has a large comb. 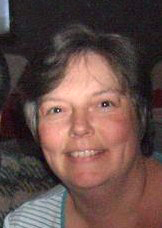 A comb is subject to frostbite. He may lose his comb but this does not usually cause a future problem; it is just unsightly as there will be a partial comb remaining, outlined in black. The best way to avoid this is to only keep roosters from breeds that have combs flat to the head if you live in a very cold climate. Don’t put your chickens in a heated room. This can actually be very dangerous for them as there is a bigger contrast between inside and outside temperatures. Also, bacteria that normally would be kept down by the cold can flourish in the moist heat possibly leading to lung problems. If there is to be a really unusual cold snap, a heat lamp can be put in the coop to keep the ambient temperature closer to freezing, but do not warm up the coop. Most hens naturally decrease or stop egg production all together in the winter, but a few breeds have been bred for winter laying. If the weather is cold you will need to pick eggs more frequently, maybe two or three times a day. In a real cold snap, the eggs may still freeze and break if you don’t retrieve them immediately after being laid. An exception to all of this is if you are brooding chicks. They must be kept completely protected from all drafts with a solid barrier surrounding them, and protected from the cold, usually by way of a heat lamp directly over them. They will tell you if they are too warm or too cold by their behavior: too warm and they stay away from the lamp, too cold and they huddle together under it, just right and they are randomly placed around the brooder. If you don’t have air-tight facilities to maintain heat for baby chicks then it is just better to avoid raising them during the winter. 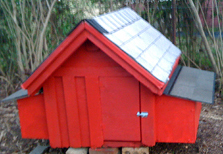 For more information on care, breeds and diseases of chickens please check out my Chicken Coop zone. Thanks, nice article. Someone mentioned putting vaseline on the rooster’s comb and wattle (waddle?) during freezing weather. Any experience with this? I’ve heard the same thing. I think that’s only in cases of extreme cold. Maybe when it get’s down into the teens.